The Estonian Trigenics® Frozen Shoulder Clinic is located in the south-western part of Tallinn, with easy access from city’s international airport, as well as to the main public transportation lines. 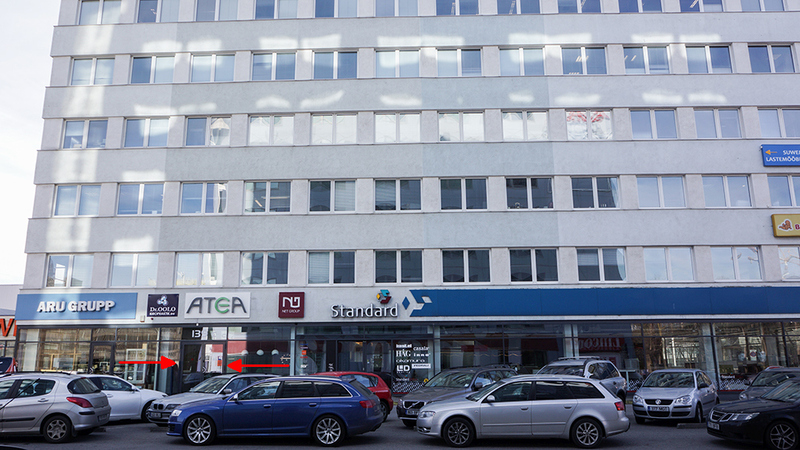 Clinic is located just 5.5 kilometres from largest airport in Estonia, Lennart Meri Tallinn Airport (TLL). At the airport you can find ATMs and currency exchange offices as well as kiosks to buy maps in the arrival halls. There is a taxi rank just outside the arrivals hall. Expect to pay up to 15 if taking a taxi from a taxi rank. Calling a taxi in advance will cost considerably less (around 8). Trams provide the simplest way to get around down-town areas, whereas buses are mainly for getting to outlying neighborhoods. From the center, most major bus routes leave from the terminal under or around the Viru Centre, or from Vabaduse Väljak (Freedom Square). You can easily hop on a tram in several places adjacent to Old Town. exit at “Kalev” bus-stop, which is a short walk away from the clinic. Please see the following links to find out specific timetables to reach the clinic. Estonia is Schengen area and EU member. Citizens from most of the European countries and many countries from all over the world do not need a visa to travel to Estonia. For the full list please visit Ministry of Foreign Affairs’ website. The unit of currency in Estonia is the Euro (EUR). Foreign currency can easily be exchanged at the airport or at one of the many exchange bureaus around Tallinn. Also there are plenty of ATMs available for cash withdrawals (but please check with your bank concerning fees). Major credit and debit cards (both VISA & MasterCard) are widely used in Estonia and are usually accepted at most hotels, restaurants, museums, and retail stores.